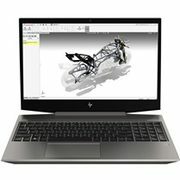 Get the HP ZBook 15v G5 Mobile Workstation for only $1719.00 until April 30. That's a savings of $300! Combine it with promo code AFF1075 to get an additional $10 off your purchase to make it even sweeter. The ZBook 15v G5 Mobile Workstation from HP runs on Windows 10 Pro 64, has a 15.6" viewing screen, comes with 8GB of RAM, an Intel Core i7, a 256GB SSD and has a 1 year limited warranty.